Hyderabad: The HMRL (Hyderabad Metro Rail Ltd) is planning to complete the works on JBS (Jubilee Bus Station) to MGBS (Mahatma Gandhi Bus Station) route by September this year. 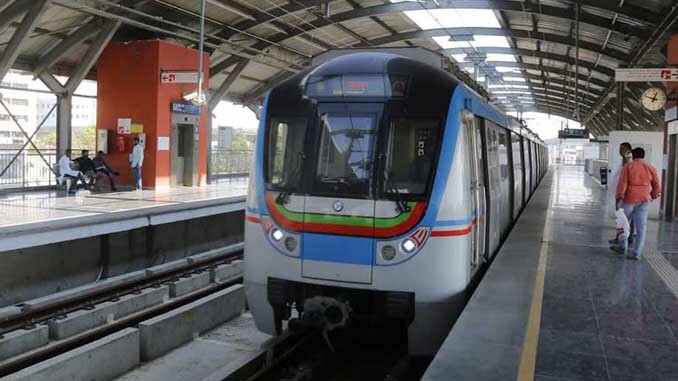 Last month, services commenced on the Ameerpet-Hitech City route of the Hyderabad Metro. The 10-km JBS-MGBS route is part of the corridor-2 from JBS to Falaknuma. There are 8 stations on the JBS-MGBS route. All the works pertaining to viaduct construction are completed. Currently, station works including roofs are being executed. An official said, efforts are being made to complete all the civil works by June, following which overhead cabling, signaling and other works will be taken up. The target is to complete all the works by September this year. For the balance 5.5 kms from MGBS to Falaknuma stretch on the old city route, survey for land acquisition is almost completed and so is the markings exercise. After the launch of services on the Ameerpet- Hitech City route, 56 kms of stretch are operational, making Hyderabad Metro the 2nd largest Metro in the country after Delhi Metro. More importantly, the JBS-MGBS route serves as an important connectivity between JBS, Secunderabad railway stations with the MGBS and this will make things very convenient for long distance travelers.